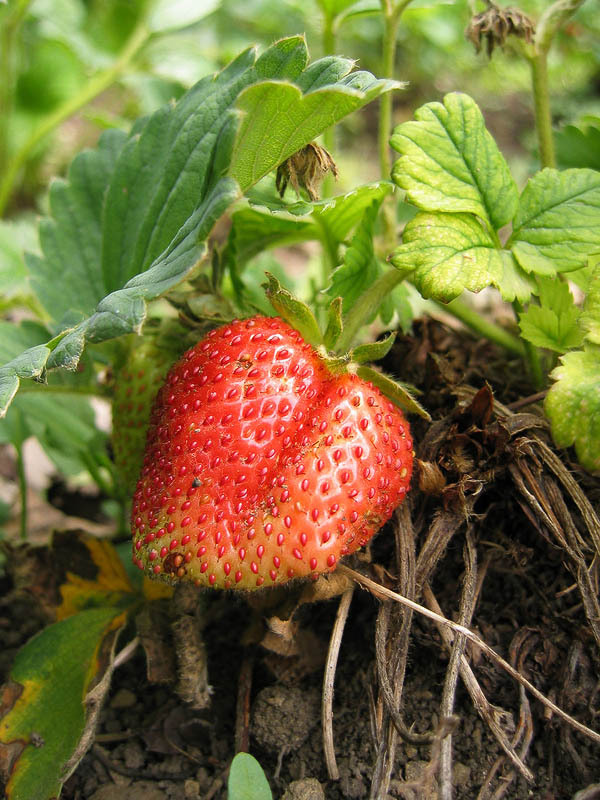 Ripe red strawberry fruit on strawberry plant in vegetable garden. Sweet juicy summer food. Horticulture.